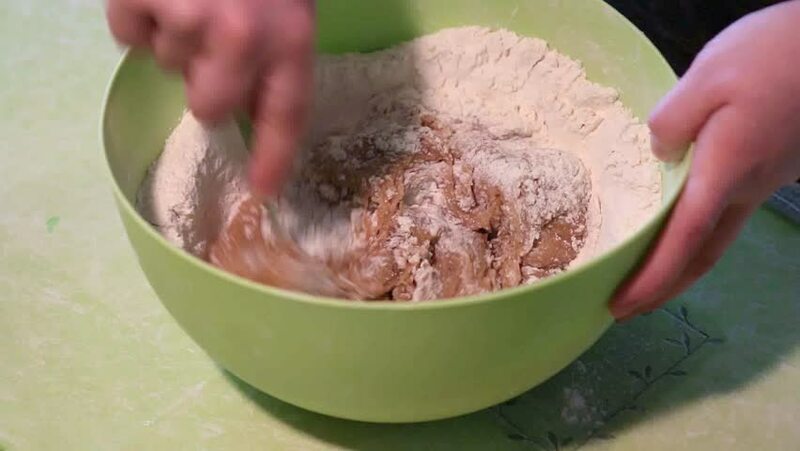 Mixing baking dough closeup. Person hand mixing mixture of baking ingredients inside green bowl. hd00:28Hand Man Mixes Ingredients in a Bowl. Video Dough For Cookies. Homemade Food.